Rabbi Aharon Lichtenstein was awarded the Israel Prize last year on Israel Independence Day for his towering knowledge of Talmud, his mastery of the Western canon (he was then the youngest person to receive a PhD in English from Harvard), and his capacity to speak to contemporary issues. A leading figure in Israeli intellectual life, a head of the hesder yeshiva in Gush Etzion, Israel, and a revered mentor to both his disciples and his readers in Israel and abroad, Rabbi Lichtenstein died earlier this week. 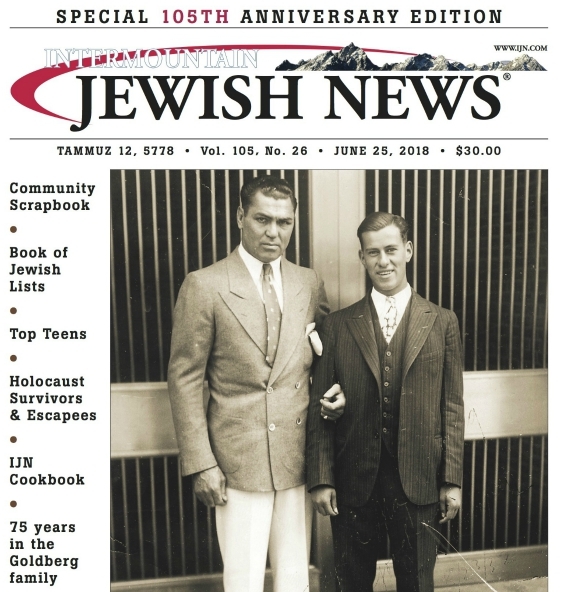 As it happened, shortly before this, Tradition dedicated an expanded issue to Rabbi Lichtensteins multifaceted life and career. The following article, slightly edited here, is the afterword in this special issue of Tradition. MY GOAL is to resummon certain characteristics of Rav Aharon Lichtenstein in the years I knew him regularly, 1966-1969, in the springtime of his career. These characteristics might have been observed later only in their fully ripened form, while I wish to resummon the initial raw power, freshness and inspiration he conveyed when he was a young lecturer in Talmud and sometime college professor. A biographer casts a backward look on his subjects life, delineates stages of growth and development, and captures the personality as a whole. My purpose here is different: a brief freeze-frame. In the second half of the 1960s, Rabbi Joseph B. Soloveitchik of Yeshiva University was already in his sixties, a senior figure, and a legend, even as he remained the pedagogue par excellence. The year of his triple aveilut, 1967, when he lost his wife, mother and brother, with the long interruption in his teaching, made him more remote to many of us. In those days, Rav Lichtenstein was, in a sense, more present and towering, for many students at YU, even than Rabbi Soloveietchik. Precisely because Rav Lichtenstein was in his thirties, his achievements could be apprehended as something we should be able to strive for ourselves. His intellectual stature did not emerge from a distant legendary past: the stories of his assiduousness in Torah study (hatmadah), which were rife, stemmed from a period of his life that more or less matched our own ages. If Rav Lichtenstein could master the Talmud, so should we be able to. If Rav Lichtenstein could integrate an authentic secular education (PhD, Harvard, 1962) with his massive Torah learning, so should we be able to. True, his achievements seemed well beyond our reach, yet the gap was narrower than that between us and those immense, at least semi-European presences, such as the Rabbis Soloveitchik or Dovid Lifshitz. Their idiom was not that of the American-educated Rav Lichtenstein. He was an especially powerful role model in the way that only a slightly older contemporary could be. His secular learning was not merely a credential, a piece of personal history, a unique attribute, a somewhat exotic jewel, as I suspect it may have seemed to many, later in Israel; it was a living, implicit, insistent, daily demand on his students, within the larger, even more insistent demand that Torah study drive and define our lives. His college class, Religion and Politics, taught together with the late Prof. Charles Liebman, demonstrated fully both the demand and the fruits of applying the Torah to contemporary issues. Some 35 years after I was in Rav Lichtensteins class, and found myself writing a halachic work, I needed to elucidate various Talmudic texts. Time and again I pulled up short. I found myself rewriting as a bell went off in the back of my mind: Would this pass muster with Rav Lichtenstein? Im not sure. I better revise. His love and passion for Torah study penetrated deeply and permanently, setting the bar for a lifetime. Not because of anything he said, but because of everything he did. Bounding up the stairs, skipping every other stair, to the lecture hall; walking rapidly; short dinners; every available moment seized for, or in preparation for, Torah study. This, I take it, is a salient quality that extended beyond his years at Yeshiva University; but it was nonetheless in stark contrast to the more measured pace of our secular instructors and, for that matter, many of our other Torah instructors. Rav Lichtenstein stood out for his unlimited, moment-by-moment love of Torah. Another matter we pressed on him concerned a rather complicated and wholly unexpected conversion candidacy. Its unique contours elicited his halachic and personal creativity. Rav Lichtenstein did not dismiss our questions out of hand and did not dismiss us (everything else aside, we were perfect strangers); he took these practical halachic matters seriously, probed us for some details and was open to details that we volunteered. His honesty and humility transformed him in our eyes into a role model for how halachic queries, no matter how out-of-bounds they might seem, were to be received. And we came back. In 1967, there was massive publicity about starvation, particularly of children, in Biafra. Were conditions in a distant African locale a legitimate concern of yeshiva students? I thought so, having been tutored in Denver by the late Rabbi Samuel Adelman, who began to fight for fair housing all the way back in the late 1940s. But what credibility might an unknown underclassman have on such a weighty issue? Again, we turned to Rav Lichtenstein, who was just young enough to be accessible and understanding, and just old and learned enough to have the requisite stature as a Torah scholar to make an authoritative pronouncement. Pronouncement, it turned out, was the least he provided. He personally led the demonstration in downtown Manhattan. In his Talmud class, in a small gesture at once subtle and salient, deft and definitive, natural and calculated, Rav Lichtenstein mastered the teachable moment by, for example, calling on a student to read the text addressing him by his Hebrew name  the first time the student had ever been known by anything other than his English name. It was a transformative moment in the students Jewish identity. In a newspaper article, in a grand gesture that simultaneously showed his reluctance to engage in polemics and his unwillingness to shirk the responsibility that his training bestowed on him, he responded to questionable perspectives set forth by a fellow faculty member in an interview in the student newspaper, Commentator. There were other teachable moments at Rav Lichtensteins informal Sunday morning talks, which could penetrate the mind, sear the soul and rouse an idealistic commitment to serve the Jewish people. There were even moments of humor, discordant as this might seem. One Yom Kippur morning Rav Lichtenstein was asked to chant the Book of Jonah, read as the Haftorah in the afternoon service, and he was horrified. Why hadnt he been notified in advance . . . he needed time to prepare! Well, he didnt have time to prepare, and I shall leave it to the imagination of the readers as to how well he did. Which brings me to my final element in this freeze-frame: Rav Lichtensteins prayers on Rosh Hashanah and Yom Kippur, the sweat dripping down his brow. It struck me as a sight so private that it should not have been allowed to have been seen. Yet, per theologian Rudolf Ottos definition of the holy, it was irresistibly fascinating; and it was awesome. Above all, it was instructive: the ultimate teachable moment in faith, fear of Heaven and abnegation. WHICH BRINGS me to a verse in I Samuel 19:20. King Saul dispatched his emissaries to take David when David was with Samuel the Prophet and with Samuels band of Prophets. King Sauls emissaries objected, setting out to capture David so that King Saul could harm him. But when these emissaries reached David, it is recorded in I Samuel 19:20, and they also prophesied. Again King Saul dispatched emissaries, with the same purpose, and again Scripture records, and they also prophesied. The same act by the King, with the same result, occurred a third time. King Sauls intentions regarding David came to naught. Why? What happened? Despite the absence of data in the Biblical record, it seems clear what happened. Men, bent on one purpose, came within the field of Samuel the Prophet, and within the field of his band of Prophets. That spiritual field was so pervasive, so thick, that the field suffused these men. It transformed them. Once transformed, it could not be imagined that they would take David, nor was it necessary to say as much. And they prophesied. They became wholly different people. They ascended. They embraced the spiritual life. They did so without even speaking with Samuel the Prophet. Scripture records no words exchanged between them. Merely to be within the field of the Prophets of the Creator altered their plans and altered their very selves. And so it was for those of us privileged to be within the field of Rav Lichtenstein during his years at Yeshiva College. It suffused us and transformed us. As Rav Lichtenstein later wrote of the way Rabbi Soloveitchik wrote of the great Torah luminaries of Israel, that at one plane, with their great intellects, they were giants, conquerors, creators and builders, warriors in the battles of Torah, even as, at the same time, they evinced child-like innocence and quasi-poetic naiveté  so may we say that Rabbi Soloveitchik wrote of his son-in-law.